Apple is reportedly embarking on efforts to build its own wireless modem, and part of its strategy could involve snapping up engineers from Qualcomm and Intel in San Diego. Apple has said it plans to open an office in San Diego and hire up to 1,000 new employees there over the coming years -- further expanding from its current headquarters in Cupertino, California. Although Apple is also opening new offices in other cities in the United States, its interest in San Diego is notable considering the city is Qualcomm's headquarters, and Intel houses part of its Mobile and Communications Group there too. Thus, Apple's San Diego office could well stand as an attempt by the company to nab engineering talent from Qualcomm (the company that Apple previously purchased modems from) and Intel (the company Apple is currently purchasing modems from). 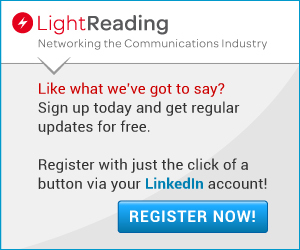 Apple, Qualcomm and Intel either did not respond to a request for comment on this story from Light Reading, or declined to comment. Nonetheless, Apple's interest in cellular networking, and 5G, is clear through the company's job postings in San Diego. For example, one of roughly two dozen job postings in the city by Apple is for a "senior embedded 5G/4G cellular firmware engineer" who will be "at the center of the embedded 5G/4G/multimode cellular firmware effort within a silicon design group responsible for designing and productizing state-of-the-art cellular SoCs," according to the company. Although such a job posting does not in itself prove Apple's plans to develop its own wireless modem, it certainly aligns with what Reuters reported this week -- that Apple recently moved its modem chip engineering effort into its in-house hardware technology group from its supply chain unit, which the publication noted is a sign the company is looking to develop its own modems. Reuters further reported that Johny Srouji, Apple’s senior vice president of hardware technologies, took over the company’s modem design efforts in January. "I believe that Apple is expanding their presence in San Diego to primarily bolster their wireless capabilities, especially their efforts to build their own modems. These efforts have long been known to be an interest to Apple and the company has long appeared to be aiming for the 5G timeframe to make it possible," wrote Anshel Sag, a consumer and chip tech analyst at research and consulting firm Moor Insights & Strategy, in response to questions on the topic. "These hirings and changes to the organization only add credibility to the beliefs that the company is putting major resources into building their own modem. Apple's strategy of silicon integration has long been a known one and modems have always seemed like the next logical (pun not intended) step. 5G will be pervasive and the company realizes that modems will eventually be in all of their products, so it makes sense to them as a technology that can be amortized across many product lines."